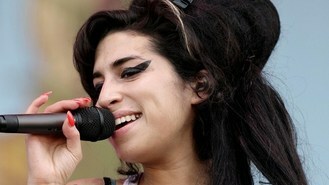 Amy Winehouse's father Mitch has admitted he realised how talented his daughter was only after she died. The 27-year-old was found dead from alcohol poisoning in her north London home on July 23 last year. After watching footage of his daughter in concert in a preview of BBC4 documentary The Day She Came To Dingle, Mitch told the Radio Times: "I always knew she was a good singer, but I was so busy running after her and pulling her out of trouble and telling her off and taking her here, there and everywhere." He added: "Looking at that (footage) I realised that there's a lot I didn't know about Amy. "One of the things I didn't know about her was what an incredible genius she was, which is strange - because I'm her dad, so I should know that, shouldn't I?" He told the magazine: "Because I was so close to her, I didn't fully get it - and now, unfortunately, it's taken Amy's passing for me to understand that." The documentary follows Amy's visit to the Irish fishing village of Dingle, Co Kerry in 2006 to film a segment for the music show Other Voices. The Wanted have revealed that they have recorded tunes with Rita Ora, Dappy and LMFAO which could appear on their next album. Tulisa Contostavlos has apologised to fans after pulling out of her appearance at GuilFest. Aretha Franklin has offered her services as an American Idol judge following the departure of Steven Tyler and Jennifer Lopez. Carly Rae Jespen has received the ultimate honour - a tribute video from the Cookie Monster. Singer-songwriter Luke Ritchie has said he needed a break - after writing a song a week for six months. One Direction stars Harry Styles and Liam Payne are apparently house-hunting in London. Rihanna has apparently enlisted N-Dubz star Fazer to work on her new album. Justin Bieber has plenty to celebrate after amassing 25 million followers on Twitter.